Travis Brown, an All-Area receiver at Los Altos in 2003 who played at New Mexico and is now the offensive coordinator at Cantwell, will host workouts for wide receivers on Saturday and Sunday from 8:30-11 a.m. both days. Greg Gano has been named head coach at Wilson High School. Gano rose to fame at nearby Los Altos where he won four CIF championships before he resigned after the 2008 season. He soon left for Damien where he spent four seasons before resigning after the 2012 season. 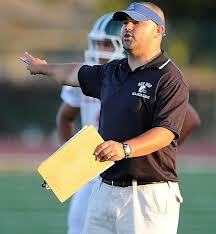 Gano started the 2013 season as the head coach at Tustin before being fired he resigned after an 0-4 start. The Wilson job came available after Nick Christos resigned following two unproductive seasons. “You always think the grass is greener and it’s not, and I’m back in the district where I spent most of my coaching career and I’m excited about being here,” Gano said. “It’s going to be a nice, new challenge. I don’t have a magic wand, so it’s going to take time. They know that. I know that. It doesn’t take a brain surgeon to figure that out. Aram’s take: Smart move by Wilson. Had to be done and be done now. With the Baldwin Park and Cal-High jobs open, the Wildcats had to act fast is they wanted to get a coach of Gano’s caliber. Any delay and maybe he gets one of those jobs, or maybe Los Altos opens up if current head coach Dale Ziola lands at Cal, where the rumor is he’s expressed interest. Wilson really need a shot in the arm and there’s no doubt Gano will provide just that. Gano will begin working on turning things around for the Wildcats after Christmas vacation. 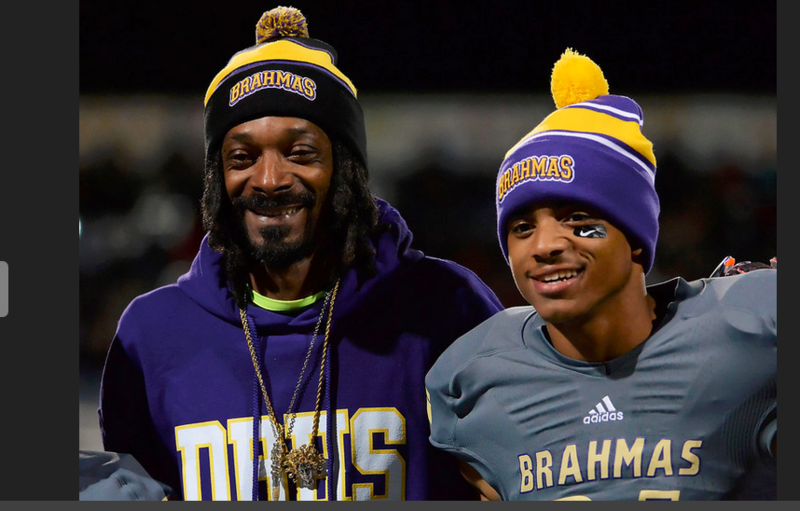 Wide receiver Cordell Broadus, son of famous rapper Snoop Dogg, checked out of Diamond Bar High School on Friday and plans to transfer to a bigger school to get prepared for his college football career. Broadus denied rumors earlier this month that he was leaving Diamond Bar for Bishop Gorman in Las Vegas, NV. His next destination is unknown at this time. Broadus, a junior, caught 60 balls for 685 yards and eight touchdown this past season. At 6-foot-5, he’s garnered plenty of recruiting attention and figures to be one of the top receiver prospects in the 2015 recruiting class. Broadus arrived at Diamond Bar during his freshman year after a brief stint at Long Beach Poly. Because of his father’s fame, whatever Broadus did got plenty of attention. When Broadus tweeted about former USC football Lane Kiffin earlier this season, it set off a Twitter firestorm. When Broadus was the center of a bench-clearing brawl against rival Diamond Ranch, the news of his suspension and the team’s forfeit against Rowland made national headlines. Shortly after the season ended, speculation about a possible transfer out of Diamond Bar began. Broadus told his newspaper he had heard the rumors about a possible move to Bishop Gorman, but said they weren’t true. Despite Broadus’ exit, Maine said that Kanya Bell, Broadus’ talented cousin who also has several college offers, has indicated that he will stay at Diamond Bar. Bell, a junior receiver/defensive back, is currently rehabbing a knee injury that caused him to miss most of the season. Snoop Dogg has maintained a residence in Diamond Bar for quite some time. The rapper/actor made an appearance at Diamond Bar’s playoff game against La Serna last month. When Cordell and older brother Corde left Long Beach Poly in 2011, Snoop Dogg indicated that their transfer to Diamond Bar was so they could enjoy a more normal high school experience. It would be a big blow to LA if Ziola left. Just as everyone is handing the Wilson job to Greg Gano comes word that Los Altos coach Dale Ziola, who revived the Conquerors program the past three years, may be interested in the open Cal High position. Ziola had no comment about the rumors that have really picked up steam this week. But there’s no doubt that Ziola can pretty much write his own ticket to just about anywhere in these parts after bringing Los Altos back from the dead. IF Ziola is truly interested in the Cal High job and gets it, that could mean a potential return to Los Altos for Gano, if the position opened up and the four-time CIF champion coach went for it. How about that for irony? So why would Ziola leave Los Altos for Cal High. Well, think about it, Cal High is set to get a very nice new stadium/field. It’s in a much better paying district. And Ziola lives near the school. As for Gano to Wilson, obviously an opening at Los Altos would change everything. It just has to. But Los Altos would also command plenty of interest considering how loaded the program now is. If Wilson’s admin is smart, they’ll lock up Gano now and not have to worry about him going for more advanced programs like Baldwin Park, Cal High or even Los Altos, if it opened up. When contacted about the prospect of going back to Los Altos if the job ever opened, Gano said he was fully focused on being a finalist at Wilson. “The thing I’m concentrating on right now is the Wilson job and nothing else,” Gano said while declining to comment further. La Mirada tight end/defensive end Tyler Luatua has committed to Notre Dame. Luatua was a highly sought prospect with offers from several glamour schools, but Notre Dame was always near the top of his list. He will play tight end for the Irish. Other La Mirada 2014 commits include receiver Dallis Todd (Oklahoma) and lineman Michael Trani (Cal).